The Kansas legislature approved a Choose Life license plate for their state last year. 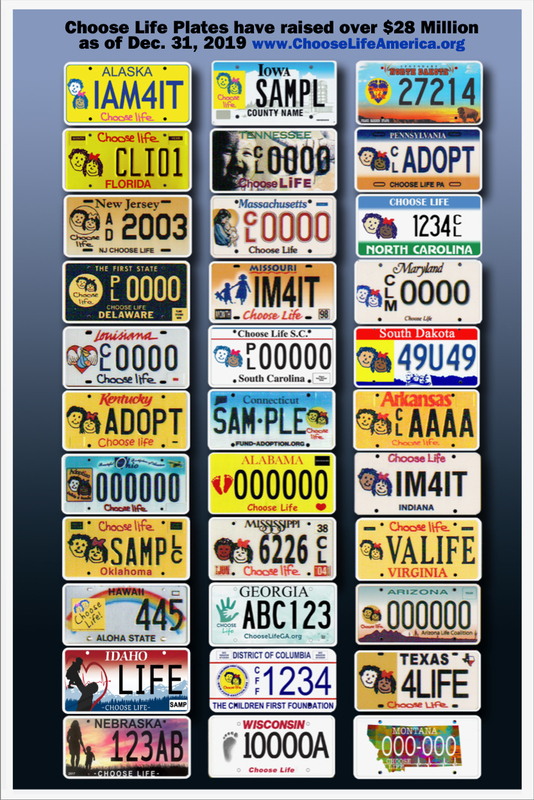 Before the state will manufacture the plate for release, they must have 1,000 plates pre-sold. If you would like to be one of the first to sign up, here is how you can do it. There are two ways to get your Kansas Choose Life plate reserved. The first and easiest is go to www.chooselifeplate.com, fill out the information requested and pay the $40, plus small processing fee online and you will have your Kansas Choose Life plate reserved. The second is to CLICK HERE, print out the publication, fill out the form and follow the instructions thereon. Either method will reserve your plate. For more information contact Barbara.